our latest news & upcoming events! The Vancouver Alpen Club was founded in 1935 by a group of immigrants from the Alpine Regions of Germany and Austria. 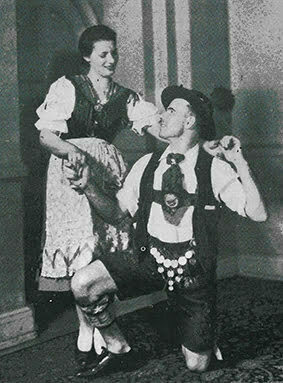 They initially came together to enjoy their traditional Schuhplattler folk dancing. Through it they upholded and fostered their rich heritage of German culture, customs and language. At first the German Social Club did not have an official home. The members registered it as a Non-Profit-Organization nevertheless and joined the Canadian Folk Society. This act enabled the Vancouver Alpen Club to be the only German club to remain open in North America during World War II. During the first years of the German Social Club’s existence, the members gathered in private homes or rented various halls for festive activities. The members finally decided to pool their resources and constructed their own building. They accomplished this undertaking in 1950 when the building at the corner of Victoria Drive and 33rd Avenue was completed. It still stands as the home of the Vancouver Alpen Club today, almost 70 years later. 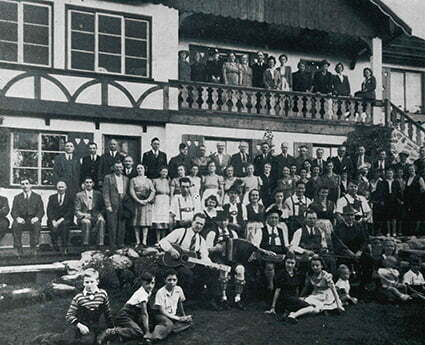 With the arrival of thousands of German-speaking immigrants to the Lower Mainland in the post-World-War-II-years, the German Social Club’s membership increased steadily. 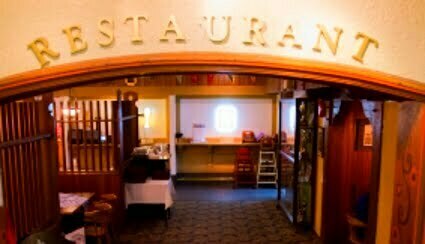 The Club continues to flourish and provides diverse entertainment and activities. 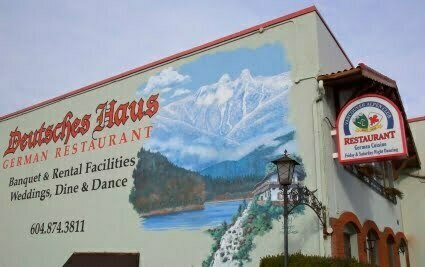 The Vancouver Alpen Club with his German restaurant “Deutsches Haus” remains a busy gathering place for long-time members of European descent, guests from all over Greater Vancouver and tourists alike. We extend a hearty welcome to all! Why don’t you drop in sometime? Our Board of Directors are responsible for the governance and welfare of the Vancouver Alpen Club. Their mandate is to promote pride in our German culture and heritage amongst our members, and to the general public at large. Under the guidance of the directors, the club specifically reaches out to all who are interested in experiencing German culture, cuisine and ‘Gemutlichkeit’. Interested in becoming a member? Find out more here! Choirs, traditional dance, card games - click here!